When I was in my teens all the expensive motocross bikes had front fork braces (or brackets). I know what these braces are used for, I'm just curious why the FSC600A has them and the FSC600D doesn't? So can anyone tell me the difference between these two Swings besides the fork brace? I thought it was just the California version against all the rest but that doesn't make sense, or does it? Is the one you've seen on 600A an aftermarket item ? As there's no brace on mine (2001 model) ! On your 2013 model you definately have a brace, it is fitted at manufacture but is cunningly hidden inside the mudguard/fender, hence not visible until mudguard/fender is removed. That is interesting regarding front fork brace. My Swing is a 2013 FSC600AD and I wonder what the brace actually does since I was not aware of its existence. Of course, it braces, but why would some models have them and others not? That piece seems pretty flimsy to act a a proper fork brace. Seems as if it's more of a fender/mudgard mount. I would expect a proper brace to be substantially sturdier. I don't think that there is space for a fork brace to mount. I agree with Cosmic Jumper that is not a fork brace. Its just an improved fender mount. Are the forks different? Fender mounting holes maybe or just longer bolts to attach that support. Honda improves parts all the time if they find a WARR. issue or problem. A true brace needs to be stiff. Plastic part like this is not strong. There is not much room on such a short fork it would shorten the travel. The forks, the bottom pieces are different. There are mounting places on four sides. Two on each fork. I don't think the fender ties into it at all but I could be wrong. It is obviously an additional brace just to stiffen up the front end/front forks. Just to keep things from twisting and keeping the forks together. I think it works Cosmic Jumper because it is all tied together. I was just wondering the difference between the A and the D. My wife must have an 06 D and I have an 13 A. Obviously we are now into the silly season because it's winter and the toys are back in the cupboard. I've had my front mudguard/fender off a few times to fit mudflaps, and it looks like a fork brace to me. I didn't even know there was one there until I removed the mudguard for the first time. It may not look like or be as substantial as a accessory bolt on fork brace, but it's out of sight and seems up to the job. It isn't plastic either it's metal, I clean any mud off the brace, bracket or whatever you like to call it whenever I have the mudguard off, and it has weathered the last seven British winters without rusting. 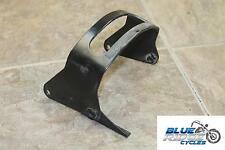 If you look from spare parts catalog you'll find this bracket from Front Fender section. If this bracket related to the front fork, I think you find this parts from Front Fork section. This is my quess, not exactly information. I may be wrong, but I see 2 different things being discussed here. The OP is asking about a fork brace that reduces fork twist if I understand him correctly. Others are responding about a fork brace mount for the front fender. The fork brace that reduces fork twist will change bike performance/handling as it reduces the flexibility of the front forks. That piece is officially called, "Bracket, fr fender". It is used on all ABS (A) models from 2003 forward (when ABS became an option on the Silverwing) and is also used on non-ABS (D) models from 2008 forward when Honda upgraded the non-ABS models to the larger 230 MM front rotor --the same rotor which is used on all ABS models. The lower fork tubes have different mounting points to accomodate relocating the brake caliper for the larger rotor. Thus the fender mount bracket was made common as well. On a related note, a friend had a non-ABS 2004 model (no fender bracket), a chunk of road debris became wedged between the tire and fender and immediately tore the entire fender off. 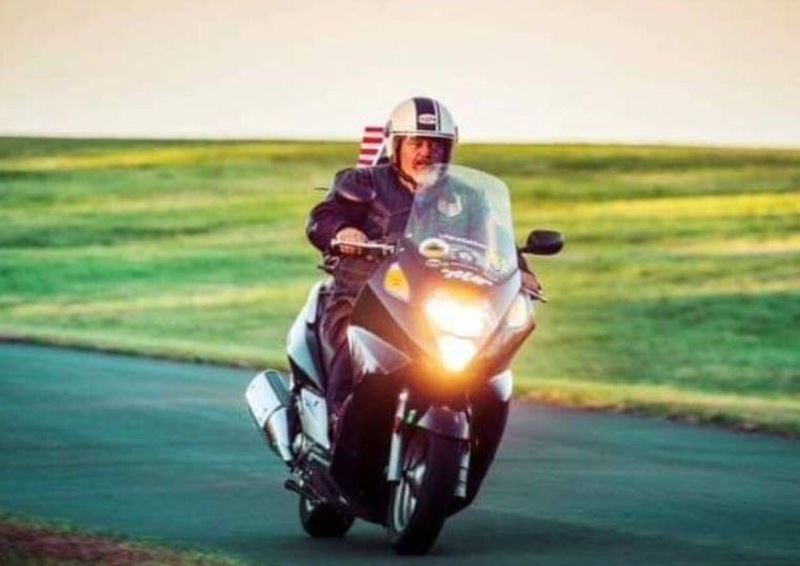 He was extremely fortunate that he was able to keep the scoot upright as the loose fender continued forward around the wheel and he rode over the whole mess. It could be that the fender bracket adds additional security to the fender mounting in the advent of something like this happening. I think that this bracket has two function. Better support for the front fender and will provide a better handling in your bike. It helps keep your frontend stiff and straight when cornering and braking hard. I do remember removing this part to do my fork springs. Yeah its metal its been a few years 2 maybe. I just never thought it as a fork brace just a fender mount. This is my first SW. thought they all shared the same parts except the upgraded FI system in 2008. Brace , fender mount. It does link the fork tubes together adds strength to the forks. Silly season it is. Should be above freezing on TUE. first time in 14 days here. Cold in NE states . Record lows. Minus -1F last Sat. night. Learn something new almost everyday. Everyday !!! Thanks for that information Cosmic_Jumper. Makes sense. I haven't taken mine apart yet but I see no ties between the fork bracket and the fender. Two separate mountings for both. I'm replacing my front fender next week and I'll give an update. It definitely is part of the fender assembly. Fork braces are often (unnecessarily installed) on Goldwings and other heavy motorcycles. The Silver Wing has a front fork assembly like and aircraft nose gear, inverted Y shaped. Most motor cycles use two separate tubes attaching to the steering stem with two triangular clamps. The braces people add are much heavier metal and clamp to the stem and both fork sliders. I had a Goldwing that had these installed. They were the first thing I junked. After removed them I couldn't feel any difference in handling including the GW's famous '35mph decelerating wobble'. plastic when I re-skined it 3 years ago. I am wondering whether the fork brace can be retro fitted to my 2001 SW. If it does actually 'brace' the forks why didn't Honda recommend it as an after fit? Is it really necessary? Is there a definitive answer to this conundrum? Not easily bud, the mudguard mounting method is different on 01 &02 to later models with the fork brace. Mine (01) will be off the road for a short while later this summer, at which point I'll investigate possibilities. It would be nice if a proper "dog bone" fork brace could be developed for the front end. Something that could be fitted. Then, I suppose, a more sport type fender (mudguard) would need to be mounted. Wow, I can just see Uncle Meldrew and Mr Grinsel's hackles raise as I type this. As you've taken my name in vain once again Timothy, let's have it on the record I couldn't care less about fork braces proper or not. As I've said many times before, I ride a maxi scooter, and I know it's a maxi scooter. I can't speak for Mr Grinsel but I suspect he doesn't give a toss either. In Philadelphia terms I'm neither Pat's or Gino's, more a John's Roast Pork type of bloke. I rode the SilverWing as big SCOOTER, on the 2 new I had, both had strong metal brace under front fender---worked fine for me. Honda figures things out very well.